RUSH: Susan. I’m glad you waited. Susan is in Goshen, New York. Welcome. Great to have you here. CALLER: Thank you, Rush. I have an idea that may be another win-win situation. I was laughing out loud yesterday listening to the clips of Maxine Waters questioning the bankers, and I had the idea if it would work if President Trump proposed to revamp the student loan system in consolidating loans and getting nice, low, like 2% interest to get all those billions of dollars out of defaulted loans, I think anybody would have a problem arguing against that, and it may even help get some Democratic votes. RUSH: You know, I must tell you something. I understand your thinking on this, Susan. I have been a little surprised that something has not happened already. Now, let me set the Maxine Waters congressional hearing up for you, in case you didn’t see this and in case you didn’t hear about it because Susan’s referring to it. Maxine Waters chairs the House financial services either committee or subcommittee. I can’t believe they actually gave her a real chairmanship. (interruption) She’s the real chairman of the financial — Okay, fine. Well, she’s got seated in front of her about 10 CEOs from the nation’s biggest banks, and they are all white. Every one of them is a privileged white guy, and she’s sitting there way above them in her chairmanship loft. The chairman sits on the second tier up there looking down on everyone. And she is ripping them a new one. And while she’s talking and asking rhetorical questions, these bankers are looking at each other and smirking and sending eyeball signals of laughter because they can’t believe what they’re hearing. And then she starts laying into ’em on the student loan program. She started demanding that they justify what they have done in creating all of this debt for all of these students. And then she demands to know what they’re gonna do to fix it. And Auntie Maxine, “What are you talking about?” And they point out to her that the federal government, that the Obama administration literally took over the student loan program beginning in 2009 and completing the task in 2010, and they said to her that they had nothing to do with it, in eight or nine years now. She didn’t know. The Democrat chairwoman of the House Financial Services Committee or whatever her committee is did not know that American banks have nothing to do with the student loan program. She just wanted these bankers up there to rail at ’em and accuse them of having no heart, of wanting to punish these young students by charging them these exorbitant loans and exorbitant interest rates, and she literally had the rug snatched out from under her, and she didn’t even know. Now, here’s the thing that surprised me. I fully expected that Barack Obama in 2012 would announce a plan to forgive all student loans as an electoral gambit. I expected Hillary Clinton in the 2016 campaign to announce that she would forgive all student loans if she were elected. That didn’t happen. I have to admit I’ve been wrong about that. I thought the Democrats — I thought this actually was the long-term plan. The long-term plan, take over the program, make it really painful, create a lot of student loan debt, create a lot of high interest rates and then come along and forgive the debt, thereby owning the youth vote and maybe other elements of the vote. But they didn’t do it. So now the student loan program is still what it is. It’s still bankrupting a lot of people. It is causing a lot of pain. People are getting their college degree and they’re having to work, in some cases, for 10 to 15 or more years just to pay off the loans they took out to go to college and get their degree. So what Susan here is saying is it’s a golden opportunity for Trump administration to go in there and reform the program and somehow magically wave a wand to get interest rates down to 2% and reduce everybody’s overwhelming debt. The fact the Democrats didn’t just forgive everything and wipe it out? I’m still stunned that that didn’t happen. But there’s a reason for it. There has to be a reason for it, and I really think the reason — in a generic sense — resides in this little gray area where liberal Democrats want as many people as possible to be dependent on government for as much as they can. I think that the liberal Democrats want everybody student to realize the government made it possible for them to go to college. The government made it possible for them to get their degree. The government! The government here, the government there. Not the big banks, not the private sector, not capitalism, but government. You could still forgive the loans or wipe them out and still maintain that, but they didn’t do it. So it is a political opportunity for Trump going forward, and I wouldn’t be surprised if they try to do something to reform the program to make it look like a big improvement. RUSH: By the way, Barack Obama did do one thing. He did push through a program where you can have your student loan forgiven if you work for some social justice warrior organization for a couple years. Now, this is not something that a plethora or whole bunch of college graduates are gonna do. But it was a way for Obama to at least offer forgiveness of your student loan. But then you had to become a community organizer to do it. 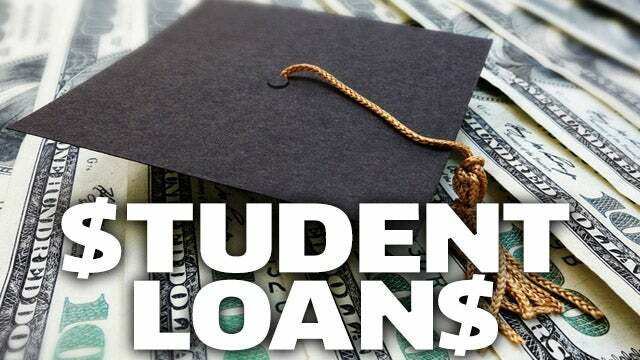 The program is technically called “the Public Service Loan Forgiveness program (PSLF) offers complete loan forgiveness to those who work in the public sector. “This includes non-profit employees, Peace Corps volunteers, public school teachers and staff, and government employees to name a few,” and all of these are unionized where you would learn community organizing, probably be taught things by people like Robert Creamer. So there is a mechanism for forgiving your student loan, but you’ve got to become a left-wing social justice warrior, and you gotta do it for a while. So you gotta work for ’em. You gotta work for the left to pay off your loan, or to have it forgiven.